Dinner Lady Mint Tobacco is a frosty take on the classic mint and tobacco flavour profile. Dinner Lady Mint Tobacco e-liquid is an ice-cold mint tobacco vape with a hint of eucalyptus for depth. If you can’t resist a menthol vape, Mint Tobacco could be your new favourite e-liquid! This e-liquid is part of Dinner Lady’s 50/50 range, and is perfect for use with your vape pen or a similar vape kit. 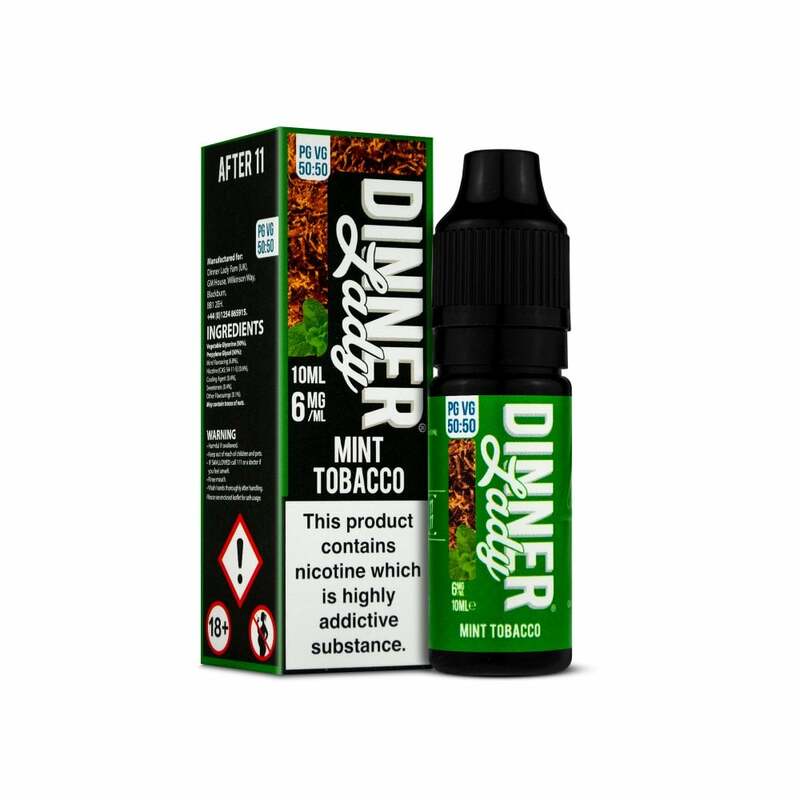 These 10ml Dinner Lady e-liquids have a 50% PG, 50% VG formula and are available in nicotine strengths of 3mg, 6mg, 12mg or 18mg.